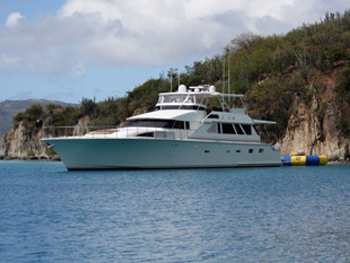 Luxury Motor Yacht Panache is available for private crewed charters in the Leeward Islands and the Virgin Islands of the Caribbean Sea year around. 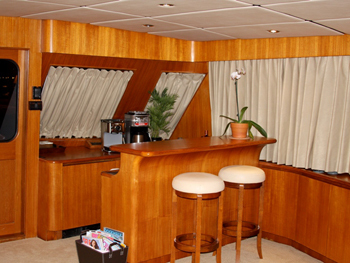 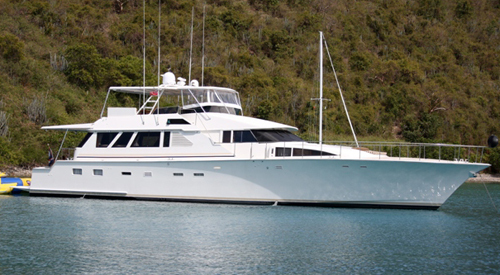 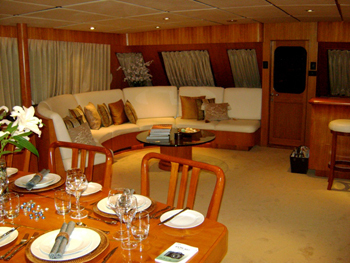 85ft Motor Yacht Panache accommodates up to eight guests in four comfortable staterooms. 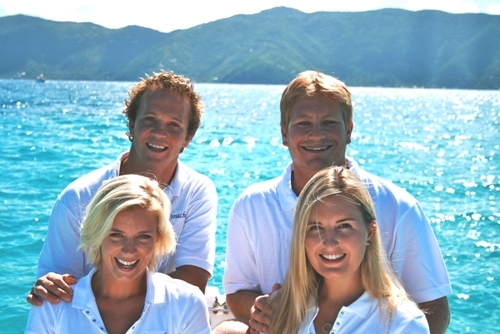 Her crew of four outstanding professionals will offer you an experience on a luxury motor yacht that you will never forget. 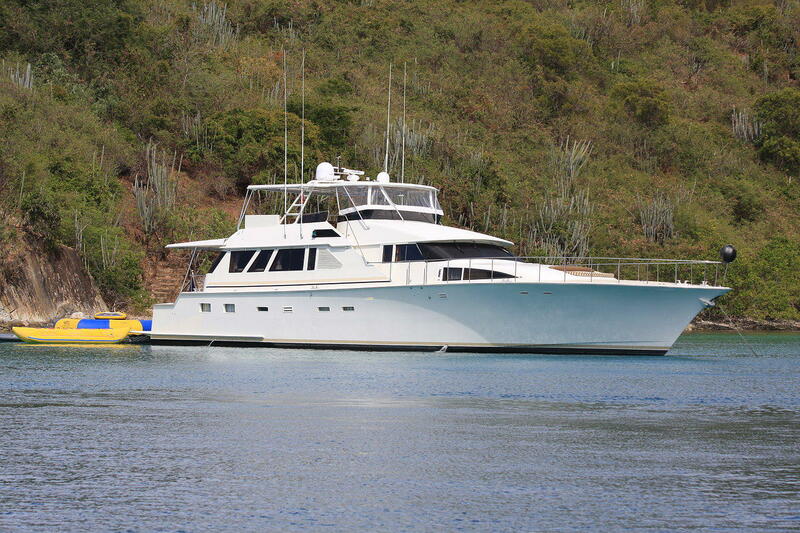 With plenty of space for relaxing both inside and out, Panache is the perfect yacht for a charter in tropical waters. 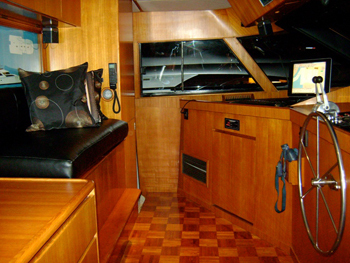 Her interior offers a large comfortable salon area which is open and airy and offers comfortable seating with a full entertainment centre including TV, DVD, Play Station and Xbox. 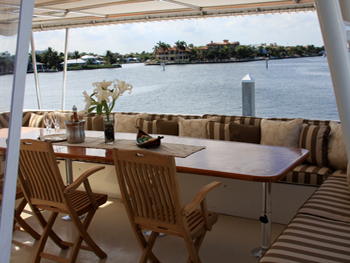 The formal dining area is off the Salon and also features a magnificent view through large side windows. 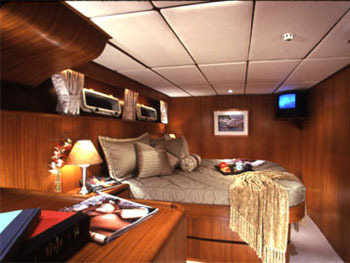 Panache’s exterior space is also another terrific feature of this yacht. 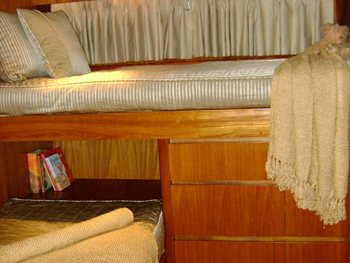 Offering plenty of outdoor space including a vast fly-bridge covered with a full awning which stays in place for guest comfort even while the vessel is underway. 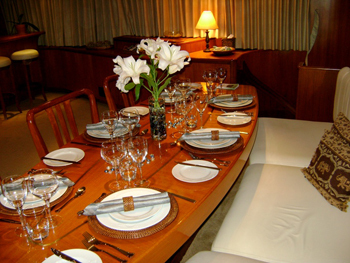 Dancing, cocktails or casual dining with a bird's eye view makes the fly-bridge one of the best spots onboard. 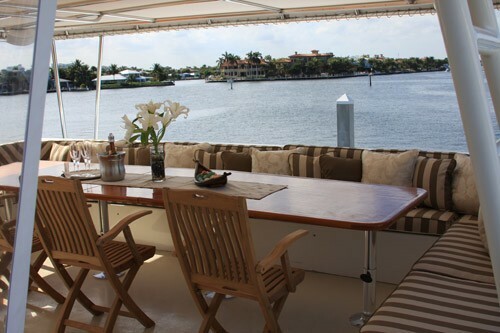 For those that want to work on their tans the foredeck offers a large comfortable sun-pad with ample surrounding deck space to hang out and enjoy the view. 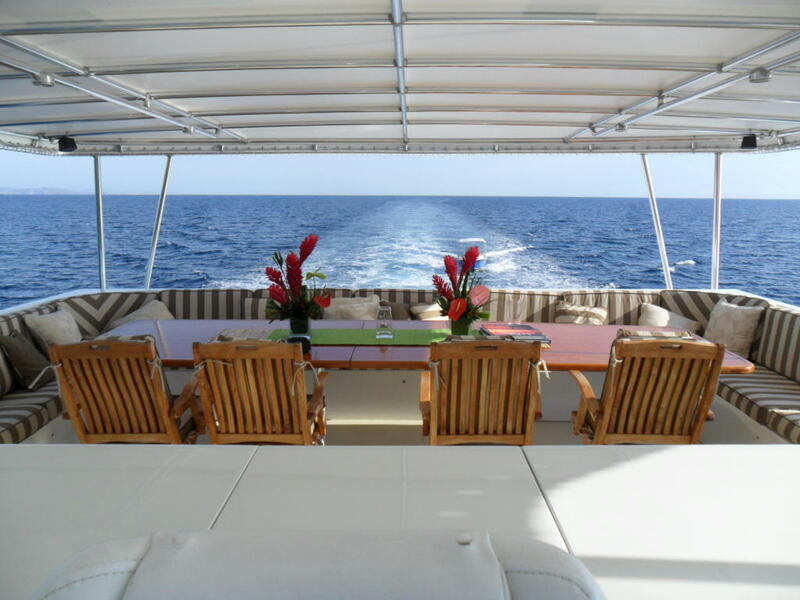 The aft deck offers easy access to the water as well as a small shaded deck for viewing the action on the water-sports equipment. 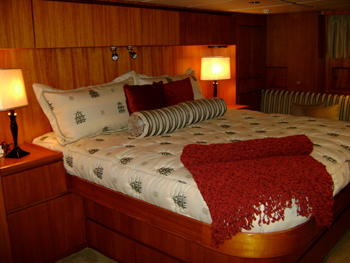 Panache has plenty of extra amenities to keep even the most active guest completely entertained and busy during a charter. 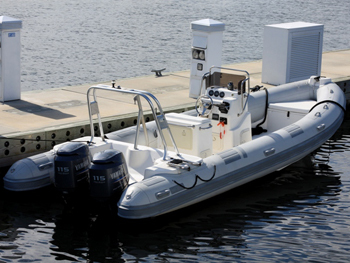 A 22ft tender with 200 hp engines will have guests comfortably ashore in no time as well being able to tow water-skiers, wake boards, kneeboards and a sea biscuit. 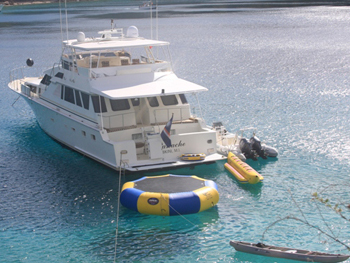 There are also two windsurfers, kayaks, a trampoline and snorkeling and fishing gear to keep everyone entertained in the water. 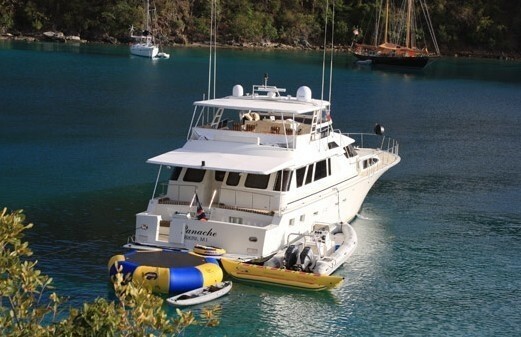 Panache’s crew of four professionals will delight in showing you the best cruising areas in the Caribbean while pampering you with five star service and gourmet cuisine cooked to your tastes and preferences. 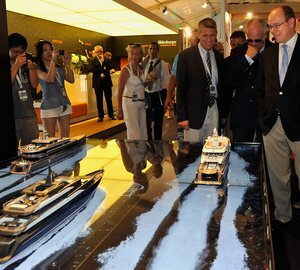 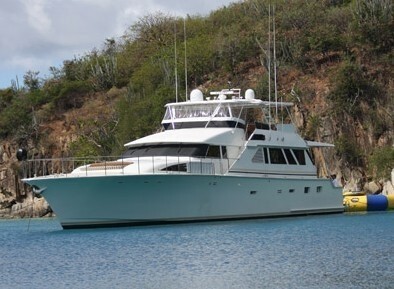 All of the crew have plenty of experience in the Caribbean and know the cruising areas intimately. 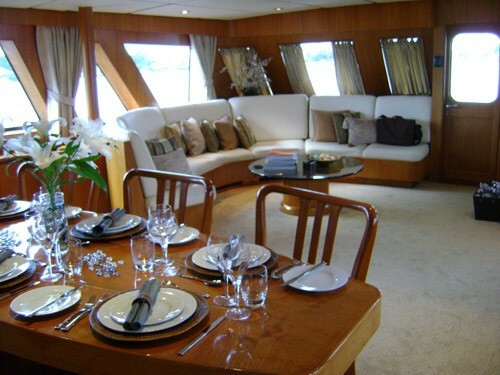 Luxury Motor Yacht Panache features and elegant design and layout and offers her guests roomy and luxurious accommodations for up to eight people. 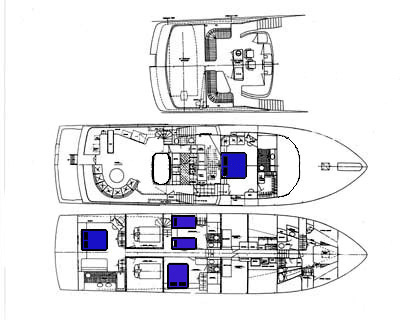 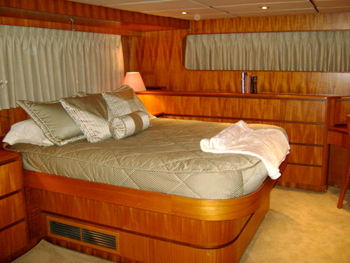 The cabin configuration consists of an on deck Master King Stateroom, a below deck VIP King State room as well as a queen stateroom and a twin stateroom. 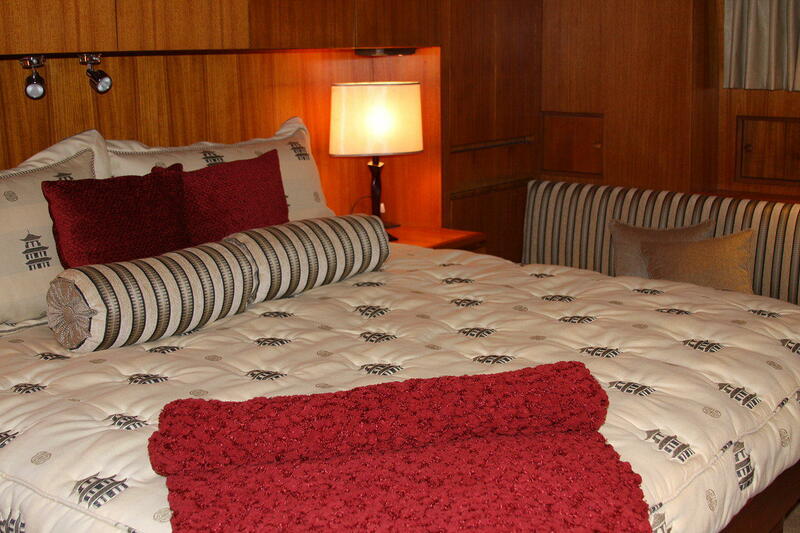 All staterooms are completely private and offer ensuite bathrooms.